Water is an essential part of the human body. In fact, it makes up a large amount of the body’s composition and is considered one of the main building blocks for sustaining life. If it weren’t for water – there would be no life on Earth. There are several Benefits from drinking water, such as helping a person tolerate more pain, maintain normal body function, feel better and it even increases your energy level. While those are a few of the benefits offered by water, keep reading to learn about more of the benefits that it has to offer. 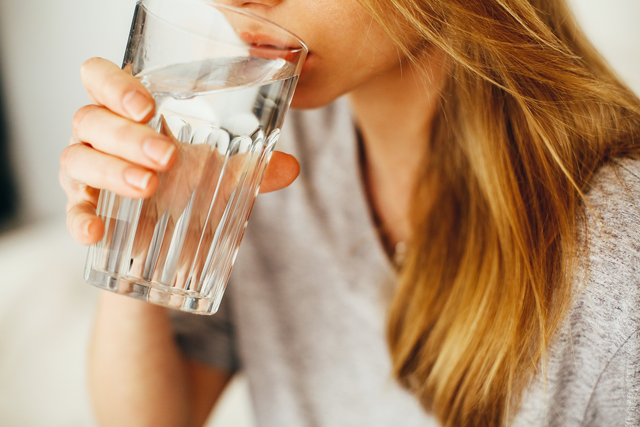 When a person is dehydrated, it can cause them to feel fatigued. This also results in slower brain function. Water helps the blood vessels expand and can help to supply oxygen, so the brain is able to function properly. If a person drinks after on a daily basis, they will see their energy levels improve, and be able to think more clearly. Most people don’t realize this, but when they drink at least eight glasses (64 ounces) of water each day, it can help to promote weight loss. There are some studies that have shown that drinking water also helps to boost a person’s metabolism while helping them feel full and minimize calorie intake and hunger. If the individual pairs their water consumption with water based fruit, they can reap even more benefits. Drinking water can help a person feel full but can also help them save money. Purchasing drinks from a coffee shop or from a soda machine is going to result in a cost of $2 to $4 per drink. If they purchase a reusable container to fill up with more water, it can help them save quite a bit of water over time. Drinking water – put simply – is one of the best things a person can do for their health and their body. If an individual is searching for an effective way to improve their overall health, then drinking water may be the best option. Being informed is the best way to know if drinking water can help improve a person’s life and health.